Too stiff, too cold, too old; we can help. Come in and sit down with one of our expert boot fitters and enjoy the season even more. 1948 saw Lange make the first plastic ski boot. By 1965 the modern ski boot as we know it today was built by Lange. 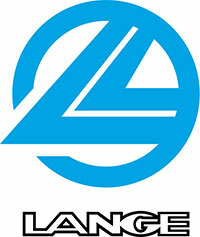 Today Lange is producing some of the best boots on the market dominating the latest Olympics in Sochi. Fischer boots have been a leader on the world cup scene for years and that technology allows them to deliver a ski boot that will please skiers of all abilities. Now with Vacuum technology those great boots will fit even better. Salomon a leader in the ski industry says that their boots are unmatched in comfort, performance and convince. Producing ski boots since the 1970’s in Montebello Italy, Tecnica has become a leader in the field. Now with the invention of C.A.S (Custom Adaptive Shape Liner Technology) they have really moved the bar up with a fit and performance balance. Full Tilt boots was founded in 2006 on a principle of bringing back the traditional 3 piece ski boot.They believe that the best performance comes from the most comfortable product. And the proof of that can be found in pro roster, with the likes of Seth Morrison and Tom Wallisch choosing to ride their product. Last but not least they line all there boots with Intuition linear, which arguably are one of the best liners on the mountain. So try a pair on and see what you think. Head boots have been an industry staple for years. Head offers its full line up exclusively to independent ski shops – so if you want to stand out in the crowd look no further. One of the key differences in the Head boot line up is there adaptive fit; that works like a custom shell. So try a pair on and see if they’re right for you. With a heritage that goes back 75 years and an unsurpassed commitment to quality, Nordica boots provide every skier at every level the performance and comfort they are looking for.